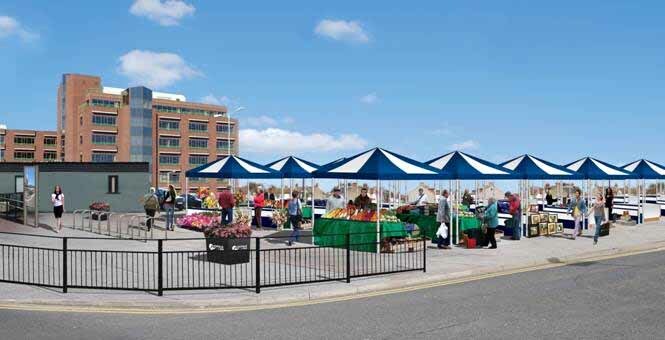 An artist’s impression of how the York Road Market might look. It is proposed to put up a temporary market until a final decision is taken based upon the review of options and discussions that are to be held to find out what would best suit possible traders and the town. This entry was posted in Uncategorized and tagged Southend Conservatives, york road market, York road market southend on sea. Bookmark the permalink. Will the poor people who lost their businesses get first choice of the stalls or shops?